The multifaceted Karpathos; the mythical home of Titan Iapetus, belongs to the Dodecanese Complex and dominates the Carpathian Sea, between Crete and Rhodes. Verdant and rocky mountains, steep ravines, amazing streams, green valleys, caves with impressive decor, beaches with golden sand and picturesque villages with traditional architecture compose a picture of indescribable beauty and original charm. 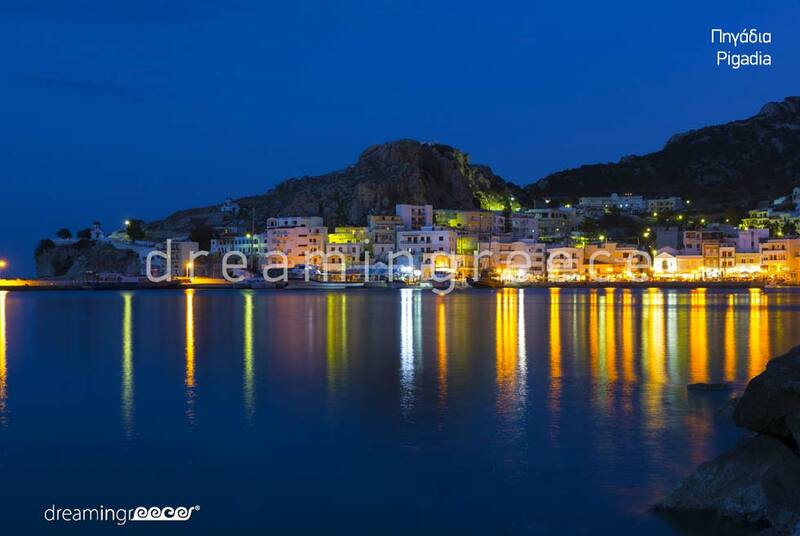 Lively Pigadia, the capital and main port of Karpathos, unfolds on the southeastern coast of the island, on the ancient city of Poseidio or Potideo. Pigadia is a modern city without any particular charm. It has, however, some important sights such as the church of Agia Kyriaki, which offers stunning views of the ruins of the early Christian basilica of Agia Fotini and the Poseidon’s Cave. On the hill behind the port, there are the remains of an ancient acropolis. In Pigadia, you will find picturesque cafés, pastry shops, taverns, bars and clubs. Northwest of the capital, the graphic Mesochori village unfolds. Walk around the streets, stroll at the old neighborhoods and admire the great architecture of the buildings. From Mesochori you will have the opportunity to enjoy breathtaking views. During your stay in Karpathos, do not forget to visit the Mount Olympus, which lies amphitheaterically on the hillside of Prophet Elias mountain, offering stunning ocean views, especially at sunset time. There, time seems to have stopped: locals keep intact their traditions, wearing until today traditional costumes, speaking the local dialect. The beautiful houses, the cobbled streets and the picturesque windmills compose a lovely picture which captures the senses! Karpathos is an ideal destination for sports enthusiasts and adventurous people. The island is a paradise for windsurfing lovers, as the beaches in Afiarti is universally known for windsurfing. Furthermore, the rich depths of the Karpathian Sea, combined with the wrecks lying at the sea bed, create the ideal place for diving. We should note that on the island operates a diving school. North Karpathos is also suggested for hiking, as it has a remarkable network of paths through which you are going to discover the hidden "treasures" of the island. 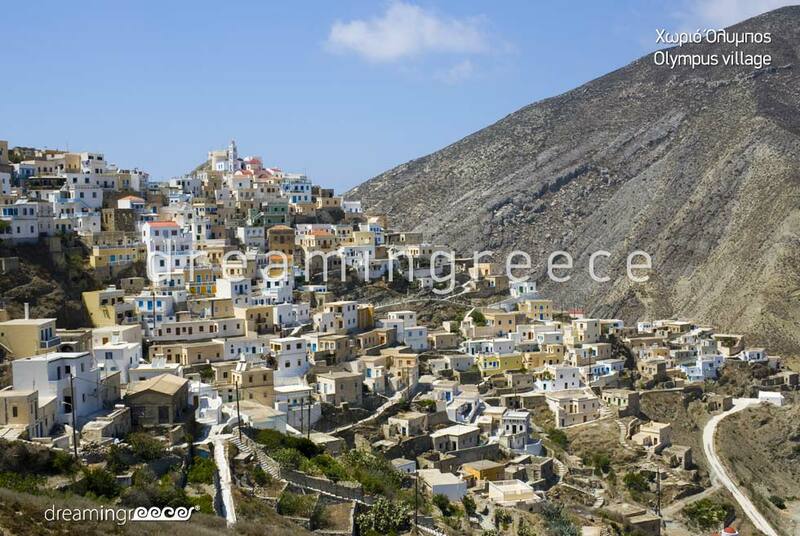 Finally, the numerous ravines of Karpathos are ideal for climbing. 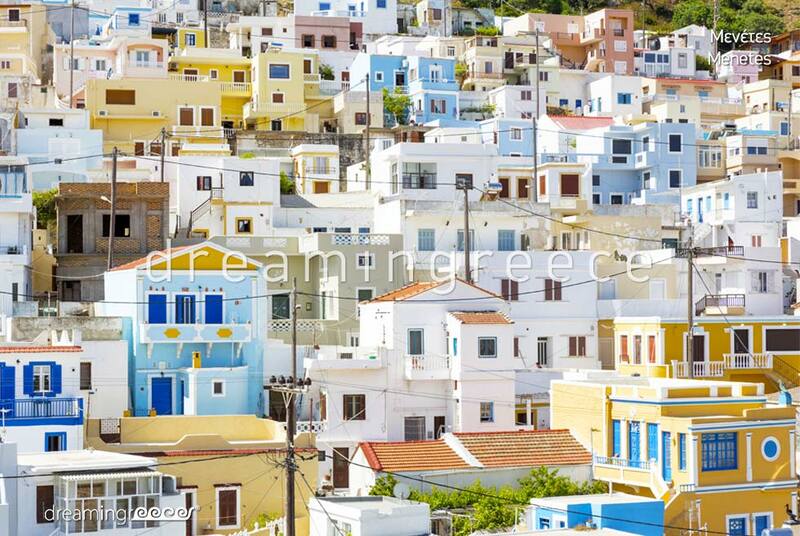 Karpathos is an island with rich traditions; famous for its festivals. Worth attending some of them, listening to traditional music with lutes, lyres and bagpipes and enjoying the Karpathian serenades. On Clean Monday, the "People's Court for Immoral Acts"; a satirical trial representation, is conducted. Finally, every year, a Wine Festival is organized in Lostos village, where you can taste the wine of Adam; as locals call the wine from their traditional wineries. During your stay on the island, do not forget to visit Saria islet which is separated from Karpathos with a narrow strip of sea. There, you will have the opportunity to admire the ruins of the ancient city of Nisyros and if you are lucky, you may see monachus-monachus seals, who find refuge in the region. 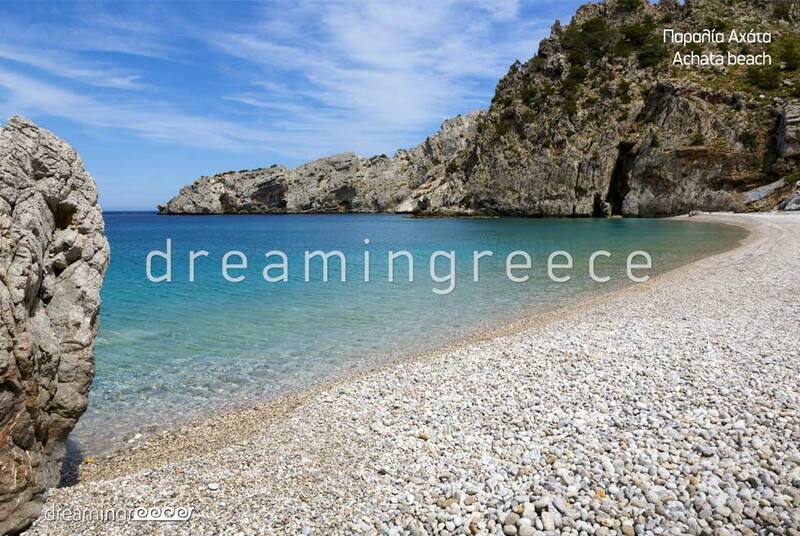 Karpathos is famous for its beaches, with crystal clear waters. In Pigadia, you will find the following organized, sandy beaches: Ammos, Afoti and Vrondi. Close to Pigadia, is the quiet Mikri Ammoopi beach as well as the more popular Megali Ammoopi. 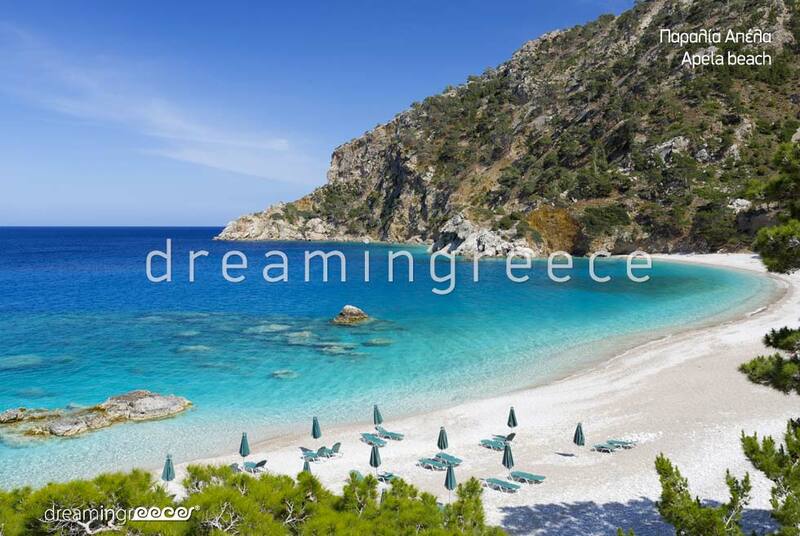 In the eastern part of Karpathos, the beautiful Apella beach, with beautiful waters, golden sand and a few sun loungers as well as the beautiful, organized beach of Kyra Panagia unfold. Makris Gialos is surfers’ ideal place. On the western side, there is one of the most popular beaches, Agios Nikolaos Arkasas, with golden sand and shallow waters. The beach is organized and has a net for those who want to play beach volley. On the same side of the island, lie Potali and Adeia beaches. On the north coast of Karpathos, you will find heavenly beaches, some of which can be relatively difficulty approached. Amongst the most beautiful beaches, there, are Vananta, Forokli and Agios Minas beaches. In the southern part of the island, you will find Damatria, Christou Pigadi and Diakofti beaches. One of the most beautiful beaches of the island is Tou Michaliou o Kipos; the emerald waters, the thick sand and the amazing rocky formations compose a dreamlike scene! Another very beautiful beach is Agrilaopotamos, with excellent views of Kasos Island. An alternative is swimming in the pristine shores of the neighboring Saria Islet. To reach Karpathos, you can fly directly from Eleftherios Venizelos - Athens International Airport, as well as from Rhodes Airport. You can travel by boat from the port of Piraeus, on the F/B Preveli ferry of Aigaion Pelagos line. 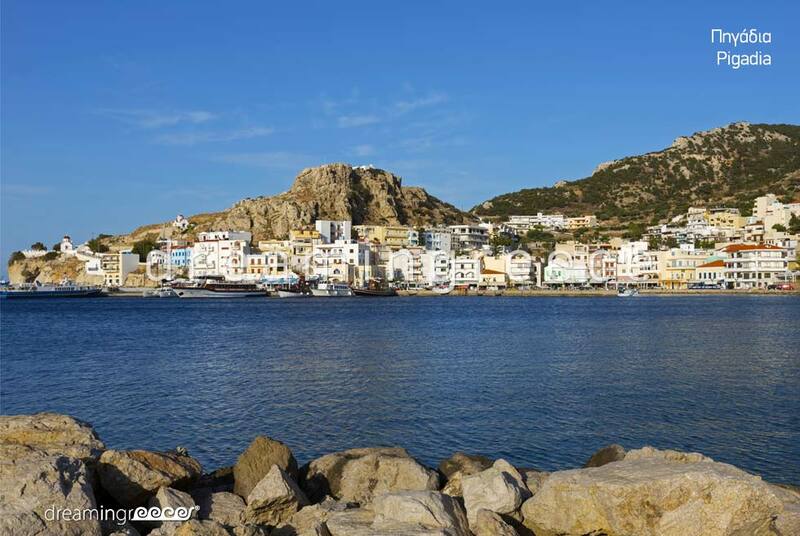 The island of Karpathos is connected by boat with the islands of Milos, Santorini, Anafi, Iraklia, Crete (Herakion and Sitia), Kasos, Halki and Rhodes.